The JMSTAR 150 Scooter Manual PDF is above the page. Motorcycle manufacturing company JmStar, located in Shanghai, appeared on the market in 2000, but already gained positive reviews from amateurs and specialists. The list of products includes scooters and engines for them, which are strong and reliable. Exports are made to European countries and North America. All equipment is tested for compliance with environmental standards and quality requirements. The JmStar 150 range consists of several maxi-scooters with the same technical characteristics, but differing in appearance, issued in different years from 2001 to the present. The heart of scooters is a gasoline engine with a volume of one hundred and fifty cubic centimeters. 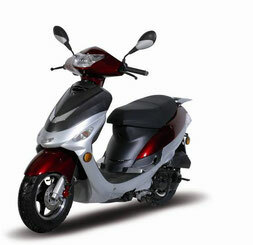 By design, it is a single-cylinder, four-stroke with an air cooling system. It is launched with the help of an electric starter, capable of producing a power equal to ten horsepower. The maximum speed is one hundred and five kilometers per hour. The air intake is located high enough, which is a positive moment when choosing a scooter for trips on primers. The front telescopic fork and rear mono-shock absorber perfectly handle the irregularities of different types of coatings. They will perfectly perform their functions, both on asphalt and on a dirt road. The JmStar 150 braking system is a disc type on both wheels with a diameter of twelve inches. Tires have a pronounced tread pattern, which also allows you to move on different roads. Developers position the scooters of this series, as tourist, on which you can make long-distance travel. Therefore, details have been thought out that contribute to the comfort of the driver and the passenger. Convenient spacious seating with a strong lining of quality leatherette is designed for two people. For each a small back is provided. Legs are conveniently placed on wide running boards. For cargo there is a seat behind the seat where you can attach a stationary trunk. Almost all models are offered as an option. 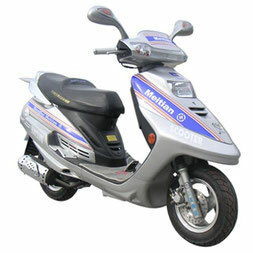 In the photo you can see the distinctive features of the scooter design of this model line. They relate to the appearance of the facade. On a fairly large fairing designed to improve aerodynamic properties, two headlamps of passing and driving lights are installed. On some models they are under elongated transparent caps. On the other lights are round, stand one under the other. 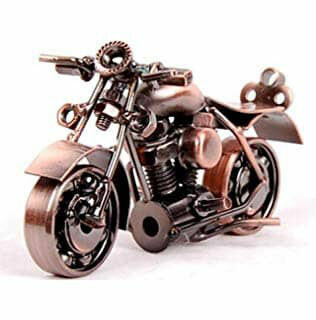 Look - JINLUN Motorcycle Manual PDF.